Ogilvy & Mather has nine divisions: OgilvyOne (direct and digital marketing), OgilvyInteractive (digital marketing and strategy), Neo@Ogilvy (digital and direct media), Ogilvy PR (public relations), Ogilvy CommonHealth (health care communications and marketing), OgilvyAction (analytics and experiential marketing), Ogilvy Government Relations (government affairs), OgilvyEntertainment (branded content), RedWorks (production and design) and OgilvyNoor (Muslim consumer practice). The Ogilvy Martech Center of Excellence (COE) provides local Ogilvy offices and clients with a skilled and highly competitive hub offering, which can work as an end-to-end capability or in a hybrid fashion, complementing existing local teams. The COE employs experts in marketing technology implementation, including specialists in Salesforce, Oralce, Microsoft, SiteCore and Marketo. The Martech COE is a 900-person unit within Ogilvy with a staff of 30 in New York making up its core team. The development of the COE was led by Gunther Schumacher, Ogilvy's worldwide chief delivery officer, as the initiative falls under Ogilvy's delivery strategy. 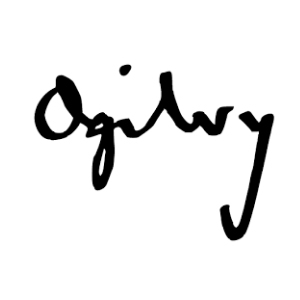 Ogilvy Consulting brings agile, global teams of consultants together at the intersection of brand, growth, innovation, and digital. Ogilvy Consulting provides Growth & Innovation, Business Design, and Digital Transformation strategy consulting to both startups and established brands. As clients move rapidly into customer-centric business models enabled by technology and data, Ogilvy Consulting innovates with clients to accelerate change through Cx Strategy, AI, Blockchain and Immersive Technology.